Actors Lee Min-ho and Seo Jun-young are in the same military training camp. 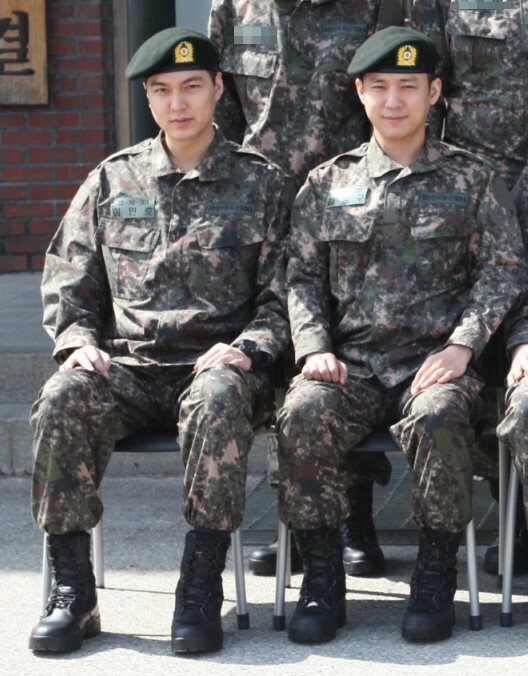 Lee Min-ho and Seo Jun-young are seen sitting together in a photo released by the military. The picture was initially published on March 20. However, it was only recently discovered that the man sitting next to Lee is, in fact, actor Seo Jun-young. Seo has been undergoing basic military training since March 15, at Korea ArmyTraining Center in Nonsan, Chungcheongnam province. Reportedly, like Lee, Seo started his military conscription as a social worker but transferred over to active duty after a certain period of time.